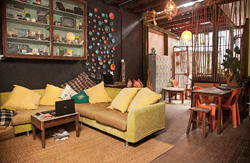 In the city center, 2 minutes walk to Waterfront, china town. Surrounded by eating places, clubs, malls. Transport are convenience. Its a 4 floors building, Level 2, lobby and level 3 and 4 are rooms. On the main road, there's 24 hours convenience store, 24 hours eating place, 3 minutes walk to the waterfront, food court, clubs and bars. 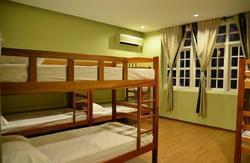 At Nook's we have 6 twin room , A deluxe room and 2 Dormitory room, with 4 & 5 beds and double room. Nook Cafe is just located at the 1st floor of the building. Guests can chill out at the lobby with their friends for coffee or tea. From airport to nook takes only 15 minutes, if there is jam after office hour or school break, it will take 20 to 25 minutes. Landmark of the place: Main road is, Song Thian Cheok Road, Behind Secret Recipe. look out for the signboard Nook on the glass door. The only block with magnetic glass door of the building. same row with Toto and Panasonic. For alert, press the door bell. From airport to nook takes only 15 minutes, if there is jam after office hour or school break, it will take 20 to 25 minutes. 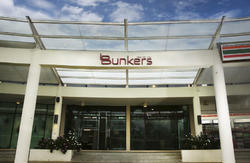 Walking distance to chinatown, eatery place, shopping mall, waterfront, clubs, pubs and also antique street. Airport Transfer Can Be Arrange With A Minimum Charge.